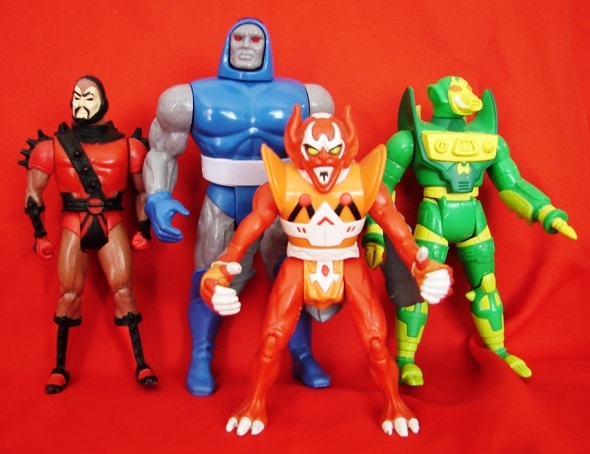 Steppenwolf, Darkseid, Mantis, and a Parademon from Kenner's Super Powers action figure line. These wonderful figures were my introduction to the world of the New Gods. a pleasant day to you and yours. Over the years, I've come to appreciate the villains from the Super Powers line even more than the heroes. I mean, just look how cool those guys are! I love that entire line. Such vivid colors. I would have Ray fix all of those guys. Love these guys! We own the originals, except Steppenwolf.